PlayStation Vue launched in 2015, and has expanded features over time. While the television streaming service has been available on the Apple TV since 2016, the client always lagged behind the PlayStation 4 version in terms of features. Sony recently took to the PlayStation Blog to announce that the Apple TV client has been updated with a pretty impressive feature. Just in time for March Madness, the PlayStation Vue app on Apple TV has been updated to include support for not one, not two, not three, but four simultaneous live channel streams at once. This way, you can see your bracket fall apart as it happens, without resorting to flipping back and forth between channels like some plebian. This latest update actually gives the Apple TV version of PlayStation Vue a superior experience than can be found even on Sony’s own platforms, at least in this one regard. The PlayStation 4 client was updated a couple of years ago to support up to three simultaneous streams at once. What the Apple TV update means is that, barring bandwidth issues or other limitations, an Apple TV hooked up to a 4K set could potentially stream four 1080p feeds at once, and everything would fit without issue. In practice, this probably won’t be the case, as many channels still broadcast in 720p or 1080i formats. So in the case of streaming ESPN, ESPN2, ESPNews, and ESPNU, for instance, you’ll be feeding four 720p streams onto a 4K set, which should at least upscale nicely. 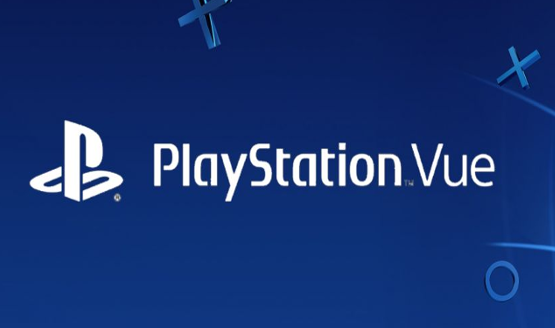 PlayStation Vue is currently available on a variety of devices, including the PS3, PS4, Roku, Amazon Fire TV, Android TV, Android, iOS, PC browsers, Chromecast, and others. While prices have recently gone up, the service starts at $44.99 a month. Are you a subscriber? If so, do you find the multi-stream viewing to be a useful feature? If you’re not a subscriber, what’s holding you back, if anything?